Dulé Hill and Daniel J. Watts star in the West Coast Premiere of this electrifying musical about "The Nat King Cole Show's" final broadcast. In this highly theatrical exploration into the soul of an American icon, Tony and Olivier Award nominee Colman Domingo and Patricia McGregor imagine Nat “King” Cole as he faces the final Christmastime broadcast of his groundbreaking variety show and weighs the advice of his friend Sammy Davis Jr. to “go out with a bang.” Cole’s hit songs, such as “Nature Boy,” “It’s a Good Day” and “Smile,” underscore this boldly original homage to the renowned performer who struggled to break through America’s color barrier in the early days of television. A feast for the eyes, ears and soul, the musical incorporates lively choreography by Broadway veteran Edgar Godineaux and dazzling tap dance steeped in politics and pizzazz created by renowned hoofer Jared Grimes. Geffen Playhouse and TodayTix are thrilled to bring you $20 Rush tickets to "Lights Out: Nat "King" Cole!" Company may offer programs whereby the Company would make available certain features of the Services when you share information about the Services through an SNS or click on the “Unlock without sharing” button in the Application. 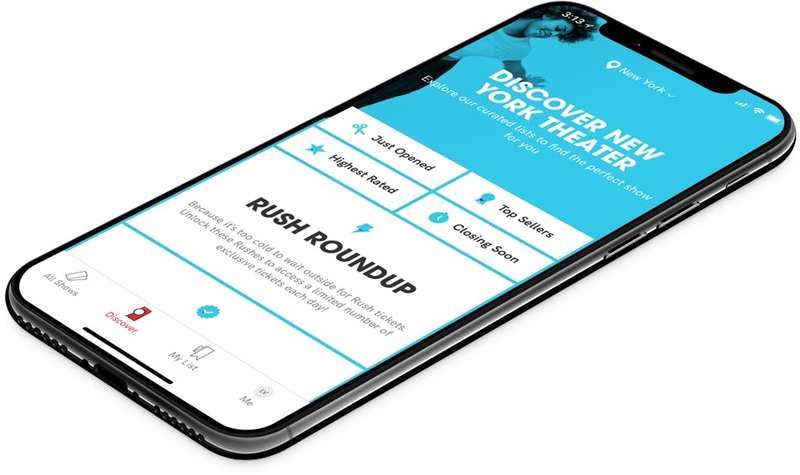 When you are considering purchasing a ticket for a specific show or after you purchase a ticket, if you select the “Share” button in the Application, Company will make available to you a personalized link to a Digital Property with text stating, for example, “Check out Lights Out: Nat "King" Cole on TodayTix! I’m thinking of going…” or something similar, which you may choose to share with your friends via SNS. Once you have shared the personalized link through an SNS using the Application or selected the “Unlock without sharing” button in the Application, Company will make available to you the RUSH feature, which will provide you with otherwise unavailable offers for tickets to live events occurring in the next week. The opportunity to take advantage of these offers is only available to users who share a personalized link to an SNS through the Application or select the “Unlock without sharing” button in the Application.